Have you all been good little boys and girls? If so, you've got to be excited about Monday night, when Santa will travel all over the world on his way to New Jersey for his Christmas Eve journey. And guiding us through it all will be the only person we know who's as jolly as the Big Guy ... our own big guy, Big Joe Henry. He'll be checking in with New Jersey 101.5's Bob Williams and our correspondents around the globe. Listen to Big Joe's Christmas Eve broadcast on New Jersey 101.5 FM, on our Listen Live player on NJ1015.com, or on the free New Jersey 101.5 app. 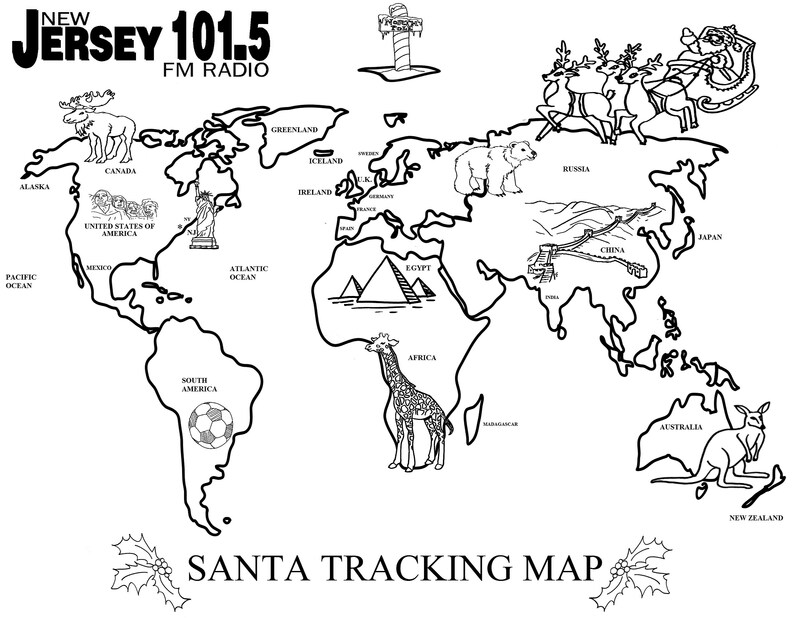 We're expecting Santa Tracking updates at 6:48, 7:18, 8:18, 8:33, 8:48, 9:03 and 9:18 p.m.
GET UP-TO-THE-MINUTE-ALERTS: That's right -- if you've got the New Jersey 101.5 app, we'll alert you as Santa makes each stop. ONE LAST TREAT: This year, you can color along! Just print out our special Santa Tracker Coloring Map. Merry Christmas from “the big guy” ... and Santa too!